Disney Side At Home Celebration. And this one was fit for a Princess. 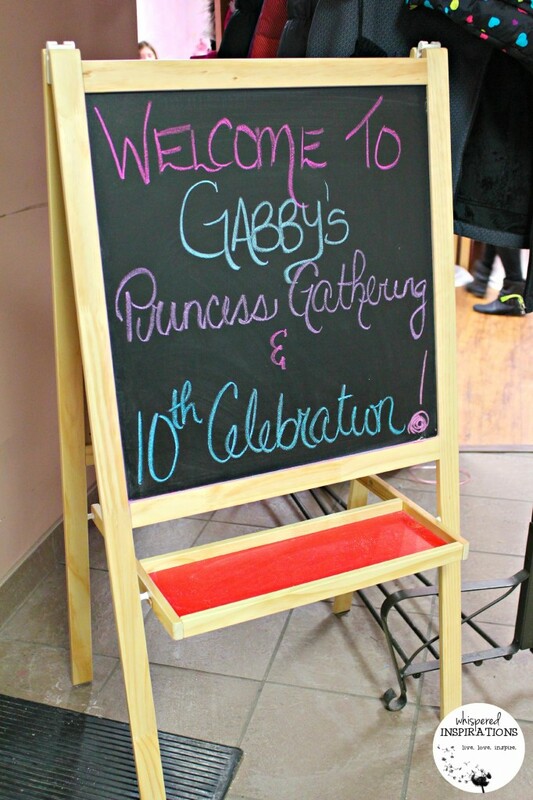 In honor of Gabby’s milestone 10th Birthday, we decided to celebrate like the royals do. 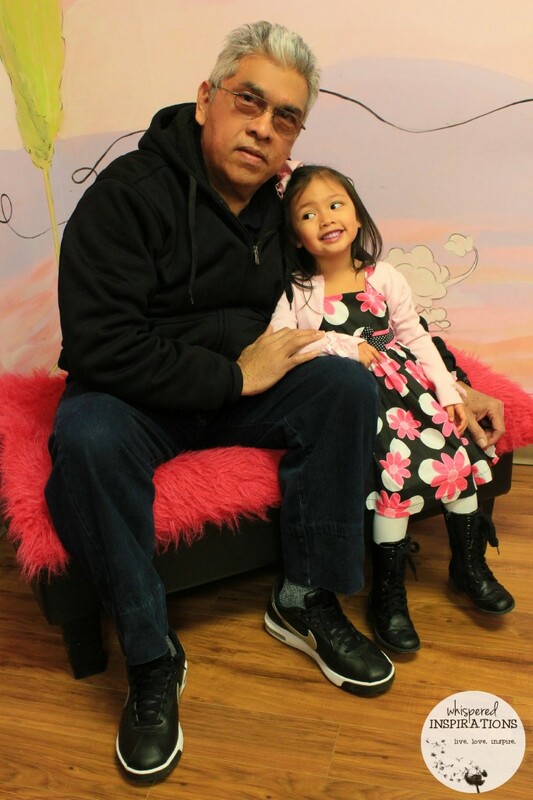 We had a Disney Princess Gathering where all the girls had the chance to wear their favorite dress and come to a wonderful gathering to enjoy treats, dance, play games and get pampered. 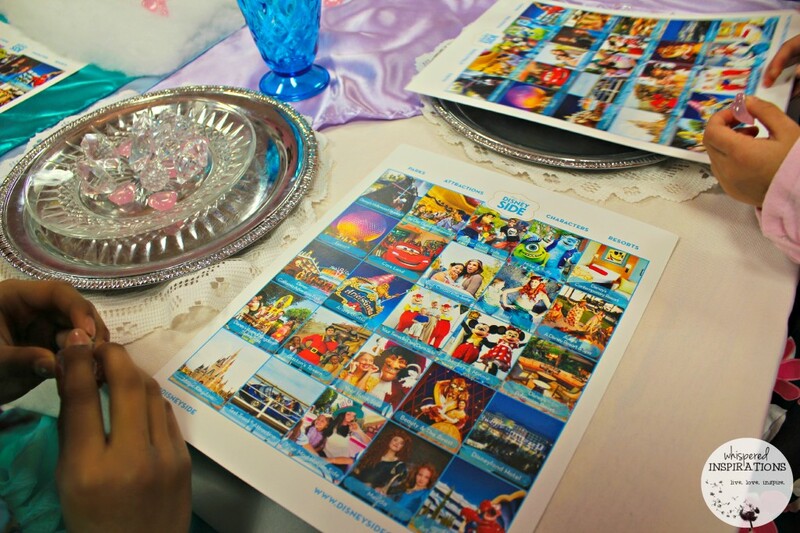 One of the greatest things about hosting a Disney Side celebration is that everyone can host one and since there is so much Disney magic, the possibilities are endless. 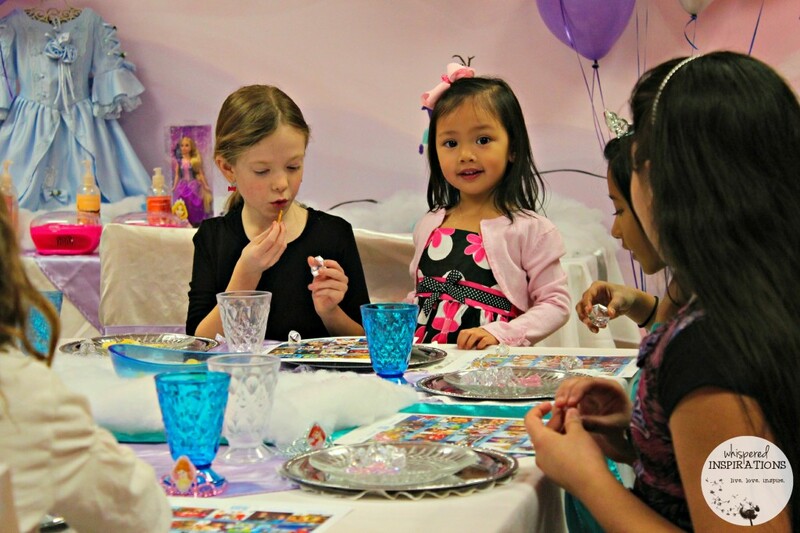 We decided on a royal luncheon and chose Frozen-inspired colors and decorations. As you can see there are soft purples, light blues and teal. 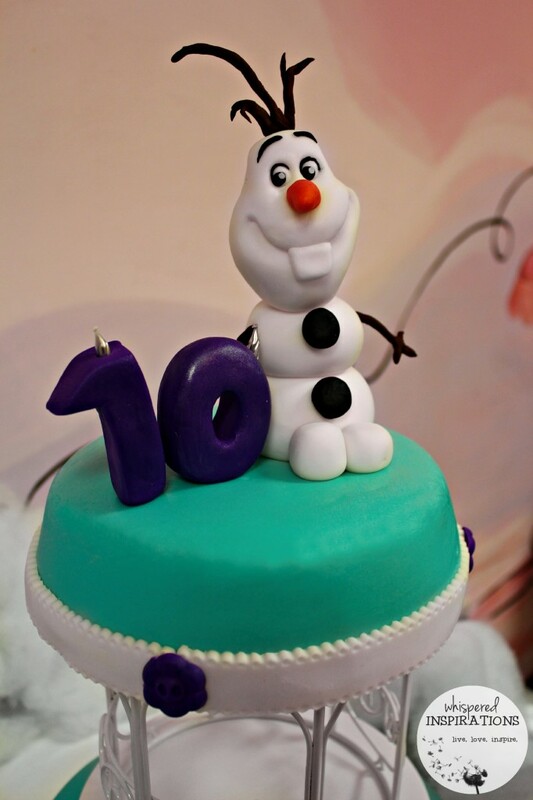 With Frozen balloons, Mickey cupcakes, Olaf Cake and snow sprinkled throughout the room and resting here and there. 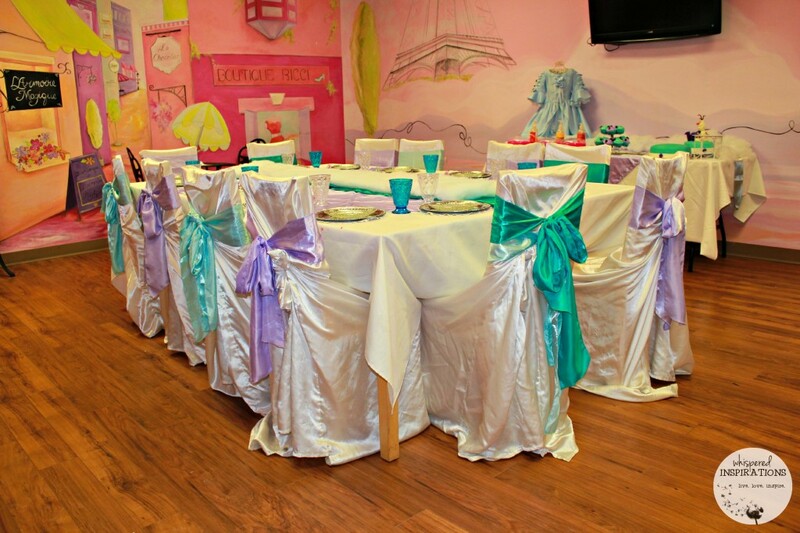 Our chairs were a white silk with blue and purple ribbons and our table was set with white linen and purple and teal overlays. After the girls got acquainted again and were super happy to be together during the weekend, the girls dove right into some Disney fun. We played some Disney Trivia and they had a laugh with some of the questions. 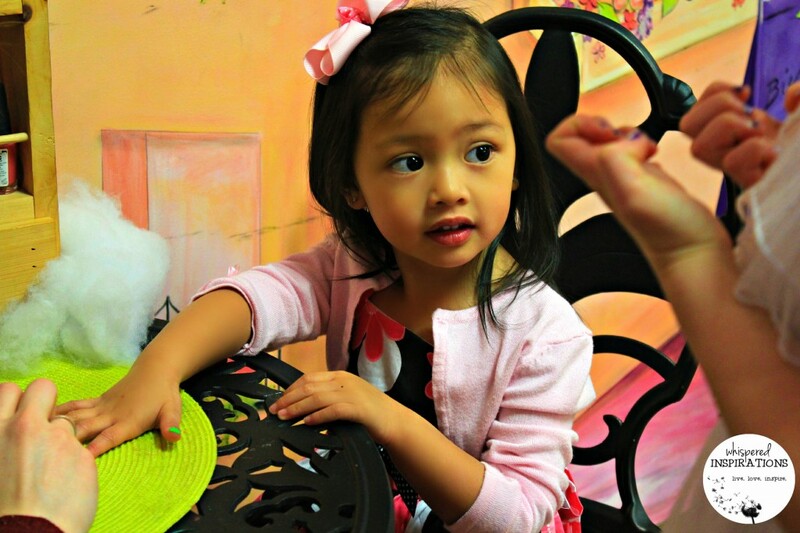 We were surprised how much our Princesses knew about Disney, they were true Disney experts. Some of the trivia questions were if they knew all of the 7 Dwarves or questions about Disney Park Resorts and special features in them. It was a blast! After the Disney Trivia we played a game of Disney Bingo. 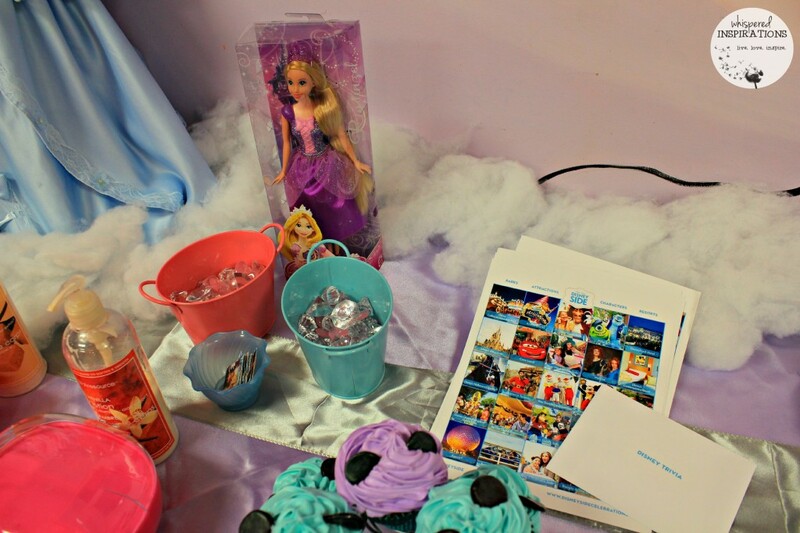 We used “frozen” crystals as placers for bingo and the winner took home a Disney Rapunzel doll. 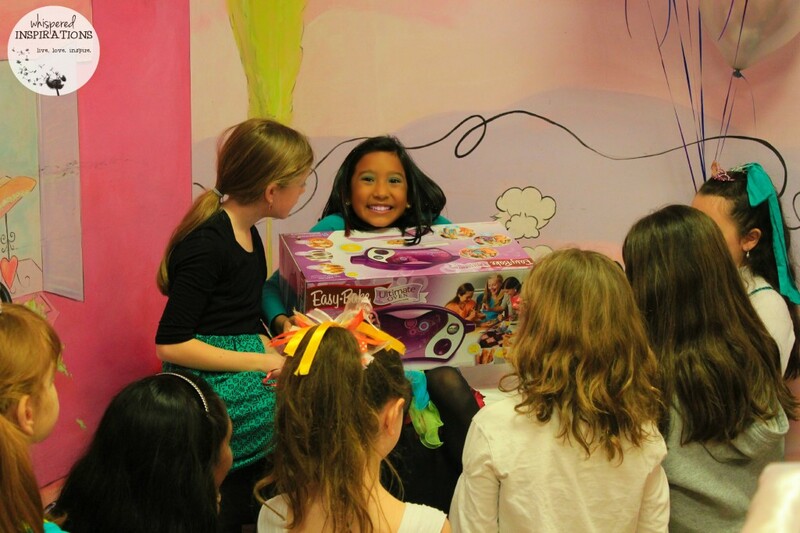 The girls had fun searching for the different Disney-inspired pictures, laughs were had, snacks were served and cheers resounded when the Rapunzel doll found her new home. 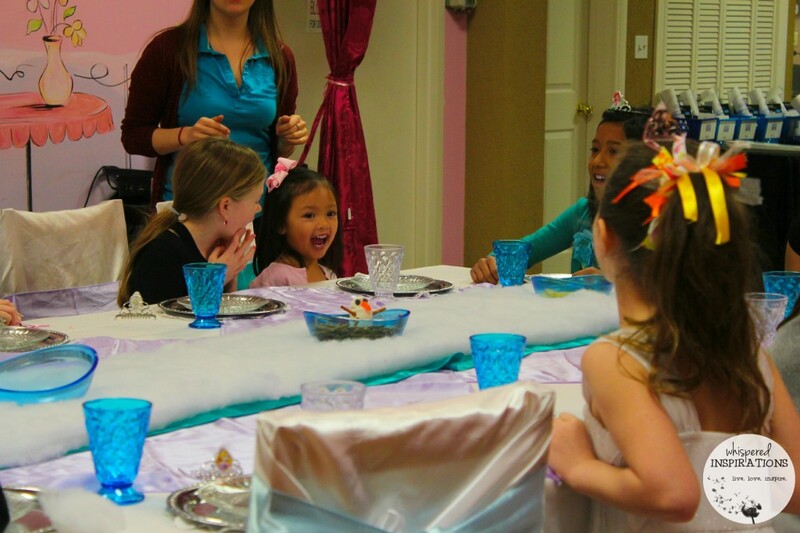 After snacks and games, the girls indulged in the royal treatment. 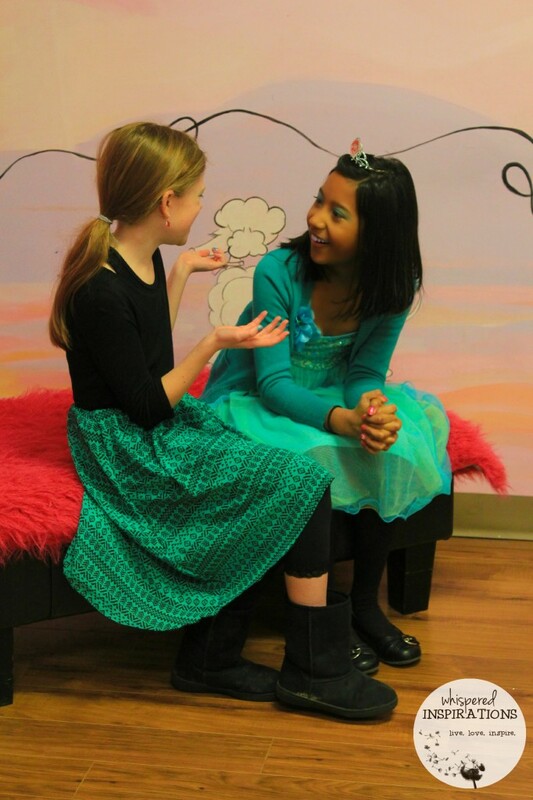 There was a chance to get Mickey Mani’s and shimmery make-up makeovers! 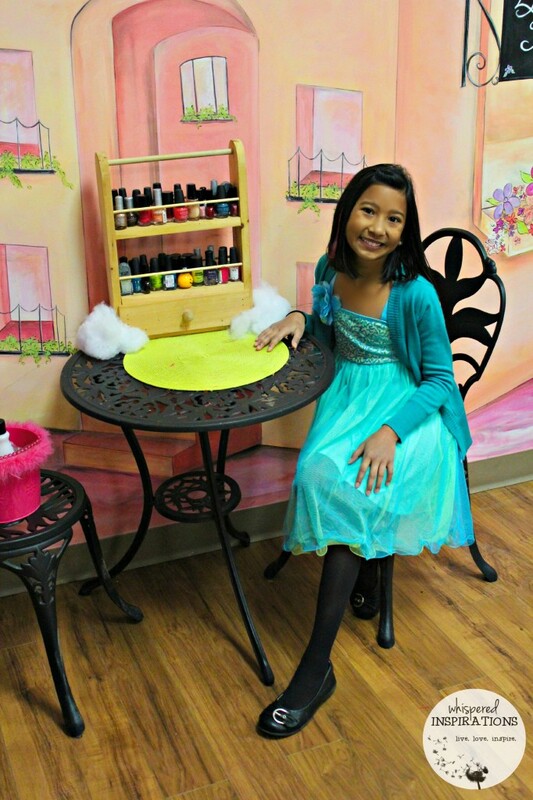 All the girls chose their favorite colors, headed over to our nail designer Susana, for their Mickey ears accent nail design. 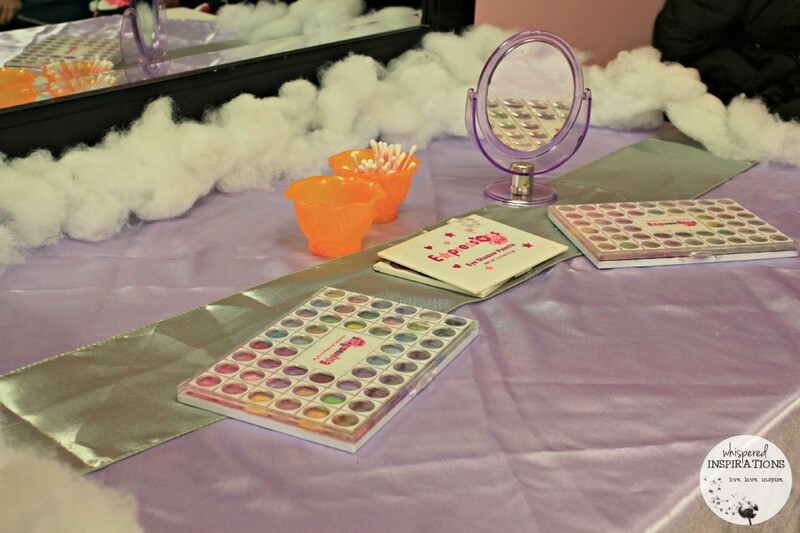 They also chose their favorite shades of eye shadow to perfect that Princess look and went along all of the stations set up while dancing to the Frozen soundtrack. 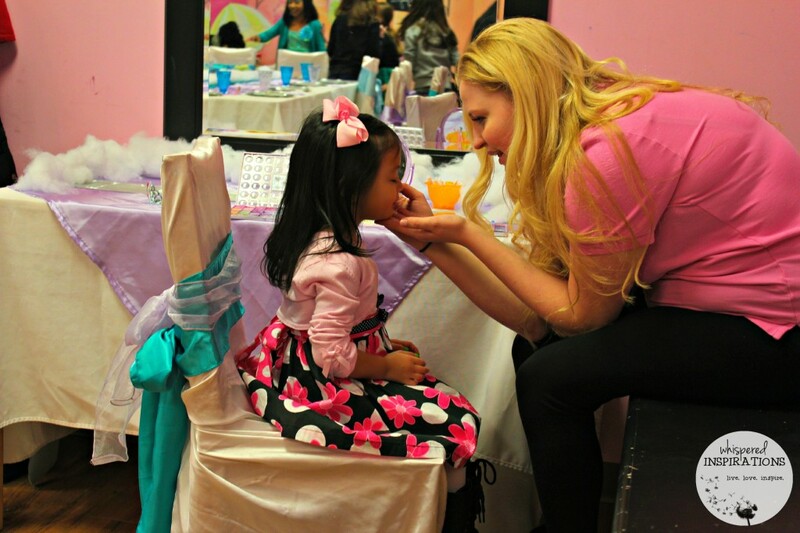 I have to say, I think this was one of the most favorite parts of the party for the girls because really, who doesn’t love to get pampered? The girls had pizza, juice, Mickey cupcakes and they even had Olaf noses with cucumbers! They socialized, they danced and even had a Disney Frozen dance-off, you can watch it, here. They came up with dance routines and danced-off to Idina Menzel’s, Let It Go. I think both teams were as equally awesome and they were all winners. 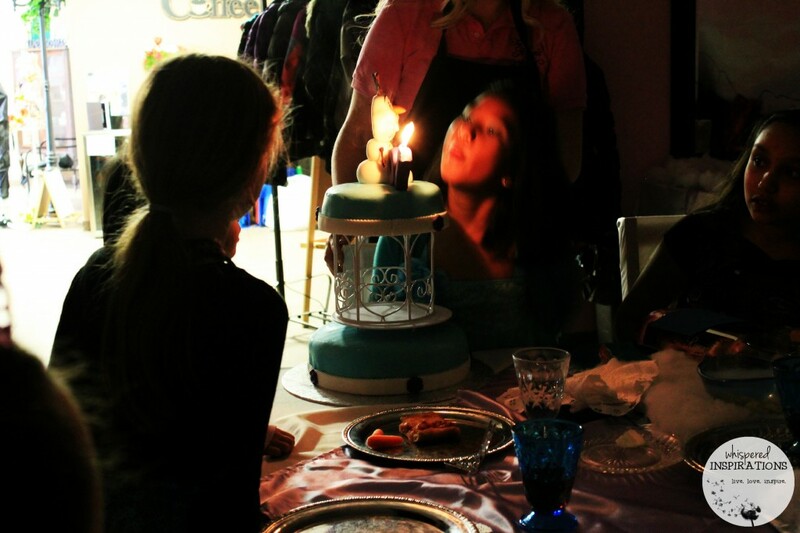 After an amazing party, it was time for cake of course! One thing that Dara and I always do for our girls is make them their Birthday cakes. 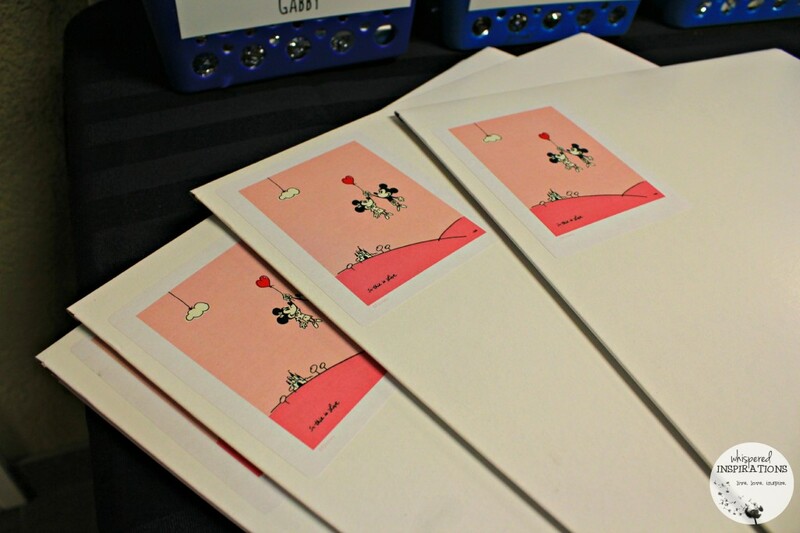 It is truly a labor of love and I feel a sense of accomplishment doing this for them. This year, it called for one of the cutest Disney characters of all time, Olaf. He is absolutely adorable, positive and a dreamer. We love him. He topped her vanilla butter cream cake and helped celebrate such a monumental milestone of double digits for our little Princess Gabby. I think we did pretty good with this cake. 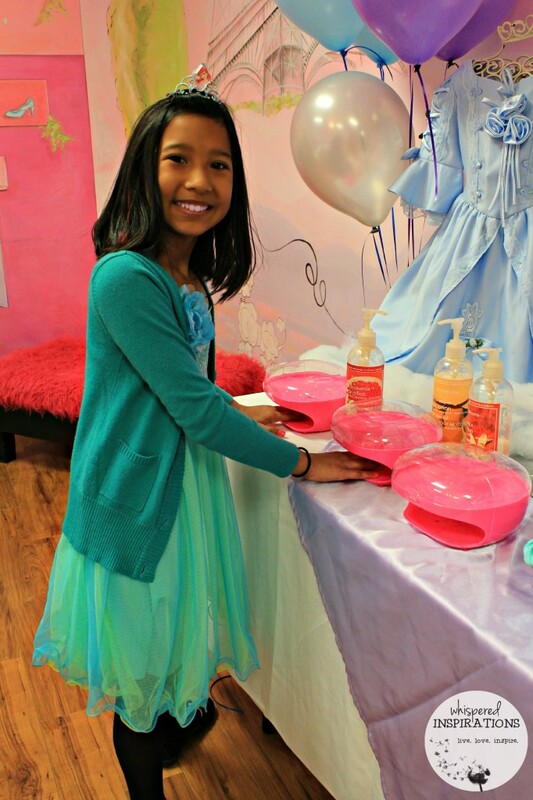 Over all, the party was amazing and the attending Princesses didn’t leave empty-handed. 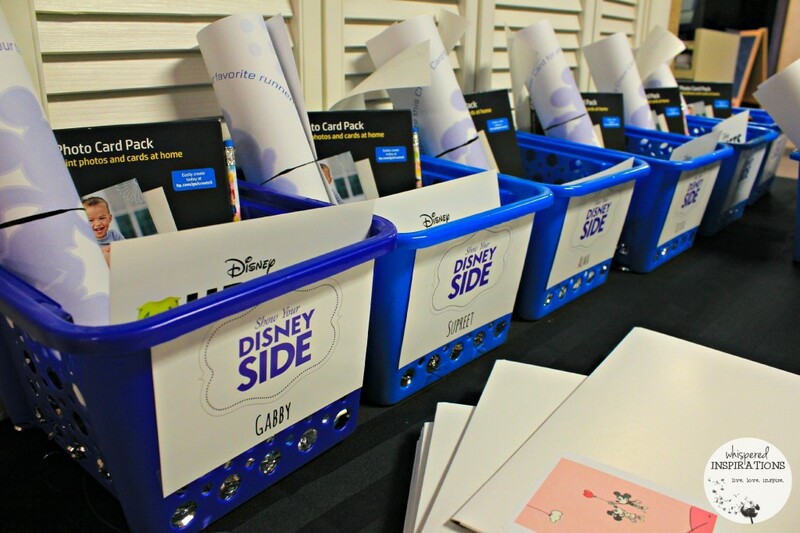 They took home personalized #DisneySide swag bags filled with Disney goodies, candy, toys, snacks and more. Even the awesome HP Photo Cards to make their own invitations for their own Disney Side at Home Celebrations. My favorite favor was the Mickey and Minnie poster, it is super adorb. It was all neatly packed into a reusable tote that they could use at home. They were easy and super fun to make! I apologize for the huge sharing of pictures but, there was just too much to be shared. 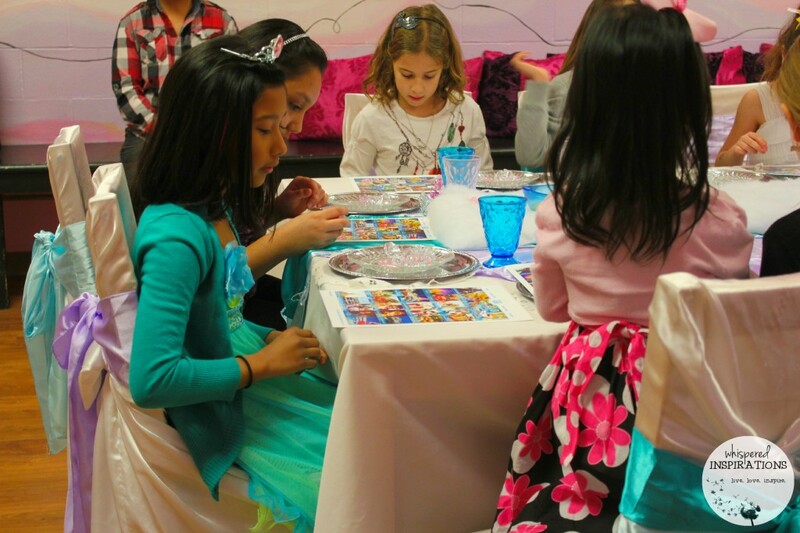 I was very happy to pair Gabby’s birthday with being a Disney Side At Home Celebration host. It made it that much more special. 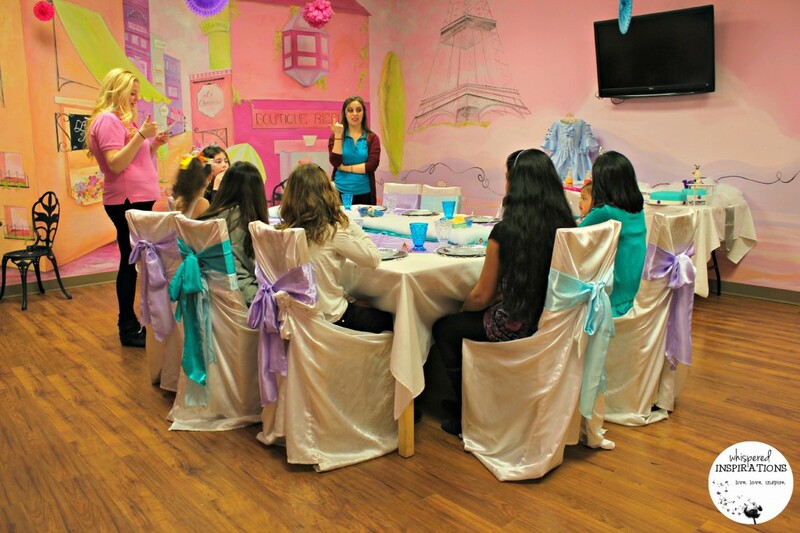 You can host your very own party, anytime, anywhere and get your ideas at the Disney Side website. My friend Jody from Mommy Moment also hosted a super cute and deliciously healthy Disney Side at Home Celebration, check it out here. Have you ever or will you host your own Disney Side at Home Celebration? Previous Post: « Murale FAB and FREE by Shoppers Drug Mart: Get a Fresh Spring Look and Score A FREE Cosmetics Bag Worth Over $385! 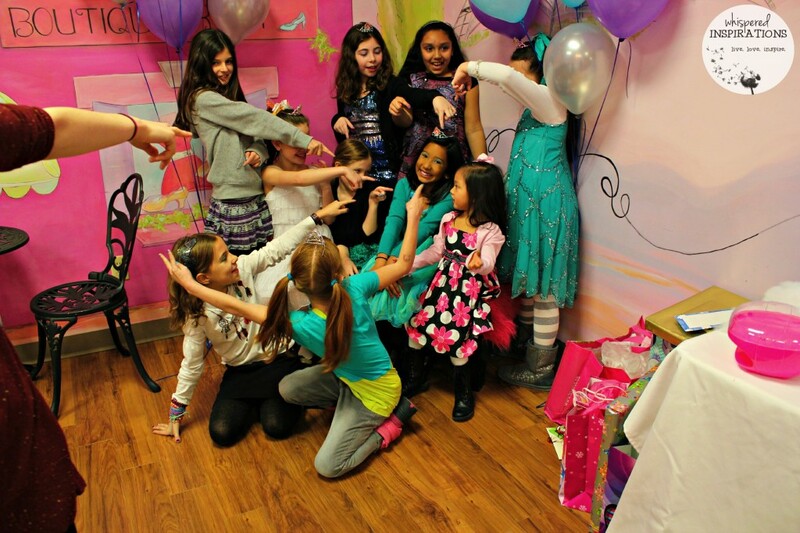 It looks like the girls had a blast at the party! The cake is incredible. Thanks for sharing your beautiful photos from the special day and thanks so much for linking to my party too. They sure did, lots of fun was had! We just had a Disney celebration, too. Looks like you had a lot of fun. 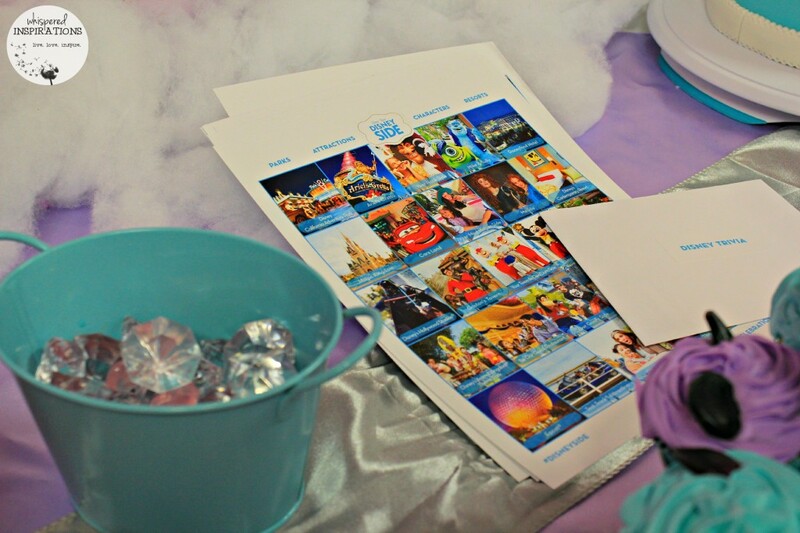 My recent post Showing our #DisneySide with a fun-filled party! Looks amazing! Where did you get the nail dryers? I need one of those! They have them at the dollar store, believe it or not! 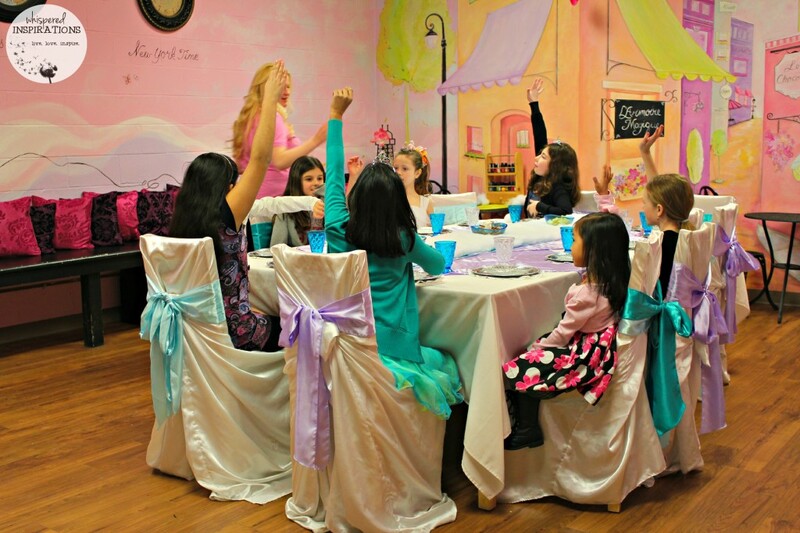 Looks like a great party – totally girly which my daughter would so love! How elegant! I would have loved this at that age! The cake is just too cute! Me too, I would have soooo loved it. 🙂 Thanks so much, it was a labor of love. Gotta love Olaf. WOW! 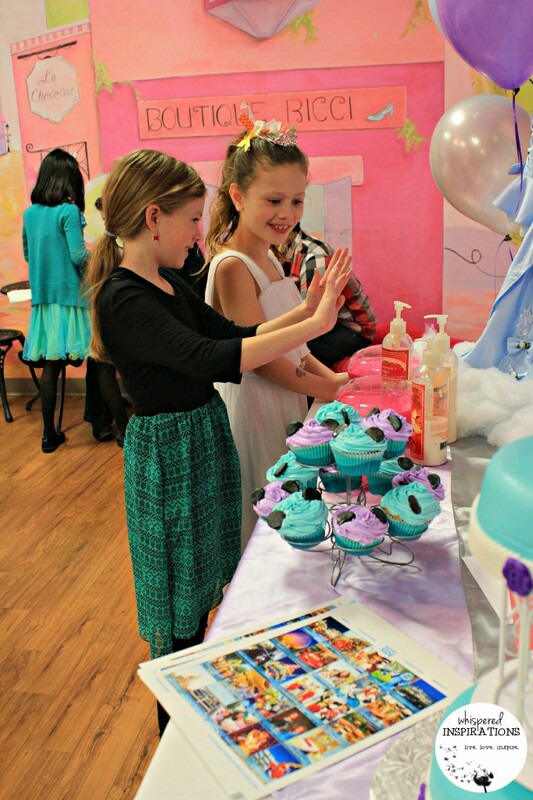 That is quite the party and soo fun and girly! Great ideas! Totally girly, they loved it. What an awesome birthday party! 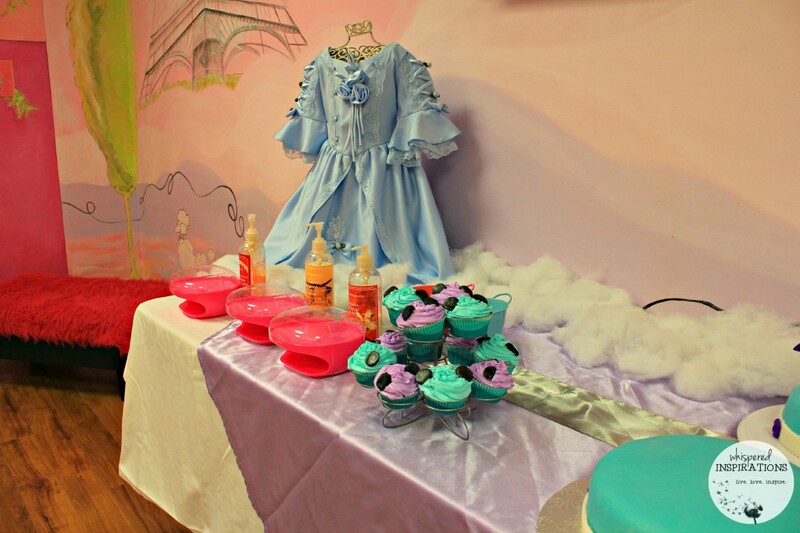 I love Disney themed parties, but you really went above and beyond! Awww, thanks! Birthdays are big for us, they were not big for me growing up, so I like to go all out for the girls. So cute! 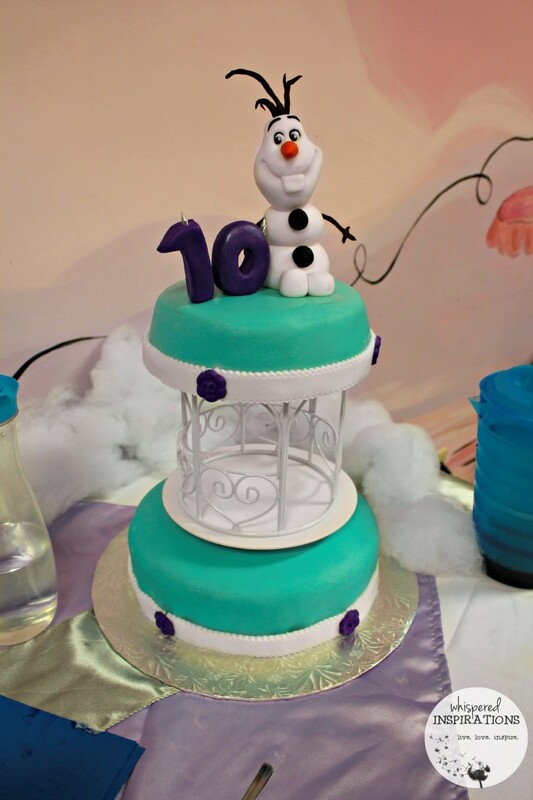 Love how you used Frozen! Frozen is a huge hit in our house! 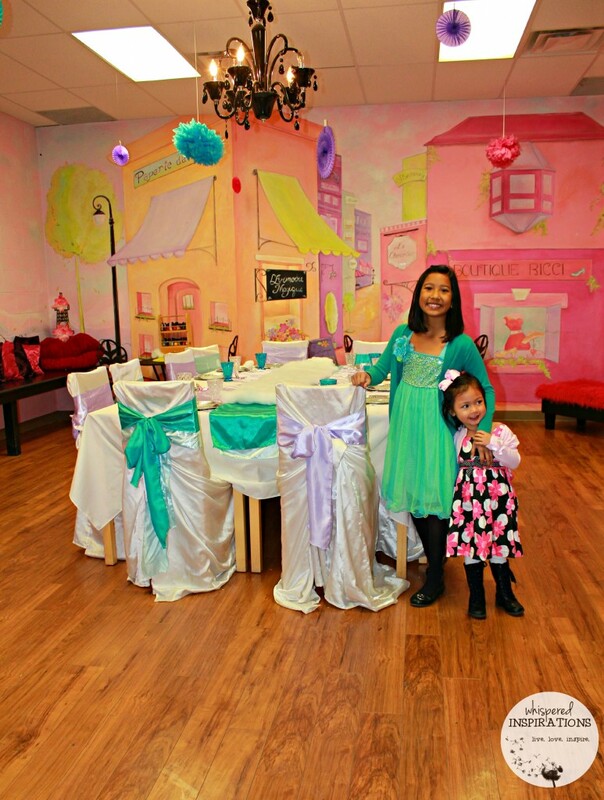 Such an adorable party, looks like it was a huge hit! What a fantastic party idea! Looks like the girls had an amazing time. Now that looks like a great party! I love all the little details that were put into it! The manicures look darling!!!! Thank-you, they loved getting their Mickey ears. Oh wow! You went all out. That truly is a party fit for a Princess. Thanks so much, hehe, we did but it was worth it! Wow that does look like an amazing party! AH-mazing. Seriously Nancy, you should get into party planning. Wow. Haha, it was lots of fun. 🙂 Thanks. That cake is adorable! What a fun party. My daughter would have loved doing this when she was younger. It looks like so much fun! 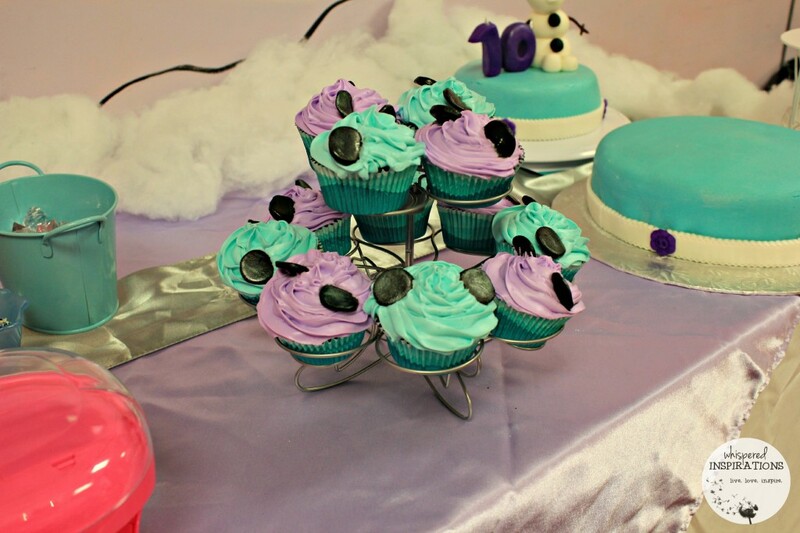 I love the cupcakes and Frozen Cake. Thanks, the girls loved them too. What a perfect party! Everything looks so good, I’m sure she’ll remember her 10th birthday forever. Thanks so much, it was awesome. She loved it which is the most important. I hope she does. What a magical party!!! Looks like fun was had by all! Oh my gosh, that looks like an amazing experience! What a great memory you two gave her! Happy birthday to Gabby! Oh My! This is the coolest party! I LOVED all the colors! So cute and a total memory maker! I hope so. 🙂 Thanks! What a wonderful birthday party!!!! This is the cutest EVER!!! I wish I would have been invited!! I DON'T HAVE TO TELL YOU THE CAKE IS ABSOLUTELY AMAZING!!!! LOVE, LOVE IT!! Awwwww, thanks so much! I would have invited you for sure. 🙂 Hehe. Thanks, my Hubby and I make a great cake team. Love your table!! And those baskets of goodies are awesome! That is awesome. I would've loved that kind of party as a kid. The cupcake stand is gorgeous too. Thank-you! Me too, hope that she remembers it for always. Wow, how do you find the time? That looks fantastic. The cake is amazing and those cupcakes are gorgeous. Wonderful colours.